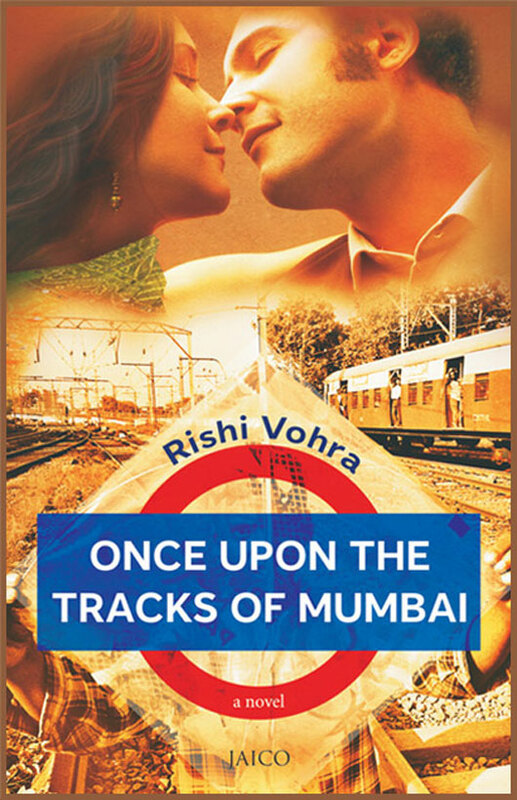 As the title rightly hints , the story revolves around the railway tracks of Bandra and if i put it metaphorically , the stories of the main protagonist Babloo and the other characters are woven intricately together like the interlinking tracks of a railway line. Babloo , short for Balwant Srivastav is a socially challenged person with a tag ‘ autistic ‘ sprawled across his patient history with black ink . Reticent and secluded to his inner self most of the times , he struggled past his school days because he had difficulty in comprehending his lessons or any piece of lengthy writing , for that matter . On the other hand , his younger brother , Raghu was the cynosure of their family , with him more than compensating for the unhappiness Babloo showered in his parent’s minds , by excelling in his studies eventually to end up with a decent job in the stock market . Babloo wakes up to the metal clings of the trains every morning and leaves home to wander around before his parents woke up. The vagaries of the life around him instills mental turmoils in his thought field almost the whole of the day by which we understand that he has problems with imbibing a lot of the routine happenings in its true sense . The chain of his thought process is seen being disconnected halfway owing to his psychological imbalance . The one thought which is engraved in his mind with all clarity is the fact that he was in love with Vandana , a beautiful , petite girl residing in the same railway colony where he resided . He starts nurturing affection towards her for the reason that she , alone cared truly for him, making her his emotional oasis in the galvanised desert his life treaded otherwise. Sikhander is a guy who drives around in his flashy car , wearing a mask of ultimate charm and chivalry ,with the sole motive of wooing beautiful girls to kneed them for his pleasure . Bogged down by the emotional tantrums continually playing in his mind , Babloo used to frequent the railway tracks of Bhandra , when on one occasion he confronts a group of guys who engages in molesting a girl in a secluded place and beats them up , thus unmasking an alter identity that has been lying dormant in him all these years . His desire to bring about a stop to the injustice ruling the society inspires him , unknowingly to be possessed by a character of his own creation , named The rail man . Powered by the identity of Rail Man he sets out to fight against the crimes that thrives in this world unabashedly . The story propels forward through the lives of Babloo, Vandana , their parents who try to bring together Vandana and Raghu together in wedlock , Sikhander and Sonal , the girl who gets entrapped in sikhander’s web . Its hard to believe that this is the author’s debut work of fiction , the reasons being the extra ordinary plot and the enticing style of writing . The plot , with the main protagonist being a psychologically challenged person is not a well beaten path and the manner by which Babloo’s inner conflicts has been depicted is laudable . The author manages to portray Babloo as an individual who thinks and reasons like a sane person , while his family looked upon him as a good for nothing young man. For the same reason , as a reader i could empathise well with his character , view the nuances of life around him through his eyes and thus connect to his yearning to transform the world to a better place through the label of the rail man . Vandana is yet another favourite character , who is every bit the modern independent working woman , who stands up for herself , her strength of character solidified by her approach to Sikhander towards the later part of the story . She is driven by dreams to settle in America , but never stoops down to indecent levels for the purpose , which includes resisting the sexual innenduos her boss used to throw at her . The author also brings to lime light the gruelling mishaps that teenage girls tend to welcome into their life when they fall prey to the gimmicks of morally degenerated men and through Vandana he sends across a strong message against this . The families of vandana and Babloo have been sketched in the typical Indian manner, with marriage and a decent job to flaunt playing the centre stage of their discussions . The gossip mongering colony dwellers also point to the ubiquitous scenario that we see around us with people inclined to deal with the life of others’ more than they do with their’s . The writing style is lucid , with the author indulging deeper into the subtleties of Babloo’s thought processes , thus sprinkling a layer of elegance over the words. The characters are dissected to its deepest level which inturn imparts a classy edge to the writing . The title could have been a better one , however i guess it would be stupid to judge a book by its title alone . Almost impossible to stay clear of the book once you have ventured on reading it and needless to say , i happened to plunge effortlessly into the gripping plot that was unravelling before me like in a movie , making it a neccesity that i finished the book in one sitting . I would definitely not have second thoughts before grabbing a copy of the next work by the author . I recommend this book to all lovers of good fiction . You shouldnt miss this one ! Previous postYes , I Will !